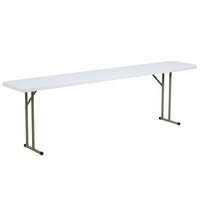 Speed up the time it takes to set up and tear down banquets, buffets, wedding ceremonies, and other events with our folding restaurant tables and chairs. 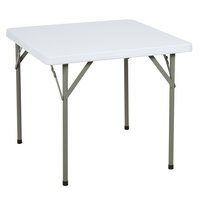 These products have a convenient folding design, so they don't take up much room in storage. 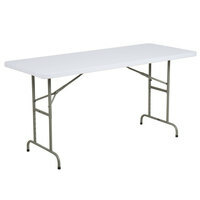 Some of our folding tables also feature swivel casters that make it easy for your employees to move these tables around your venue. 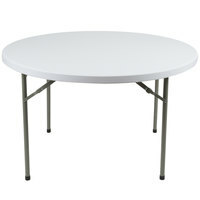 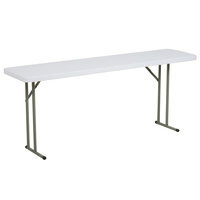 Thanks to their durable construction, our wholesale folding tables and chairs have a design that stands up to general wear and tear in your cafeteria. 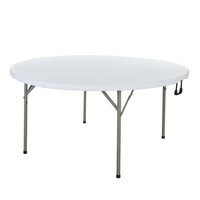 You can also find these products in a variety of colors that add a bright, fun appearance to your establishment. 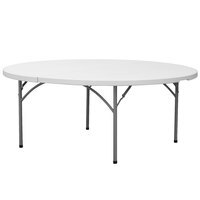 Folding tables and chairs are even available in an assortment of sizes and styles, so you’re sure to find the best one to suit your needs. 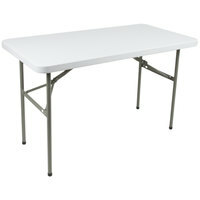 309 110 - 330 Lb. 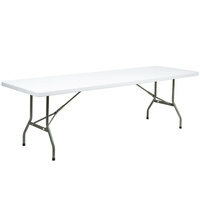 82 350 - 700 Lb. 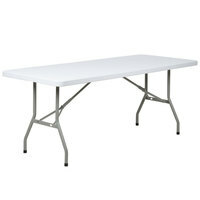 20 750 - 1700 Lb. 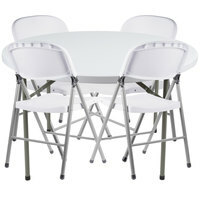 Good - This Lancaster Table & Seating black textured contoured folding chair is an economical choice for your establishment. 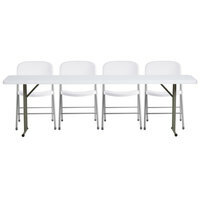 Providing you with a lightweight, yet sturdy plastic construction, its textured, contoured back and seat ensure comfort while blending seamlessly into any event's theme and decor. 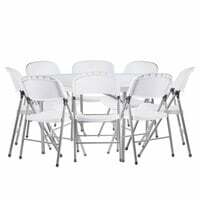 Better - This Lancaster Table & Seating folding chair's plastic back rest implements a cut out fan design that brings some flair to traditionally bland folding chairs. 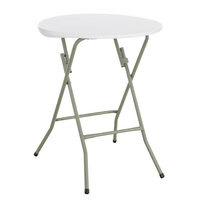 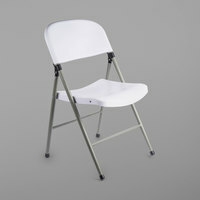 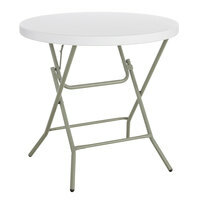 Featuring a durable plastic back and seat and sturdy frame, this folding chair is a great addition to any catered event! 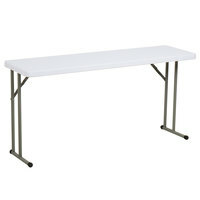 Best - This Lancaster Table & Seating folding chair will last throughout years of service, providing you with an invaluable addition to your catering business's supplies. 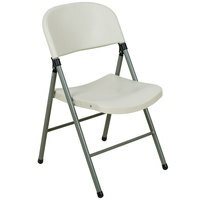 This chair features a high-impact, blow molded polyethylene back and seat that will not crack, chip, or peel, as well as features a heavy-duty powder-coated steel frame for added durability. 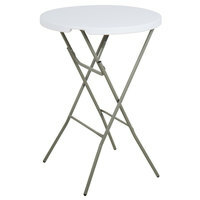 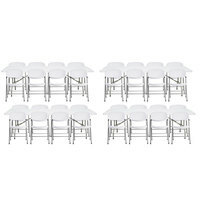 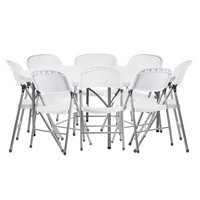 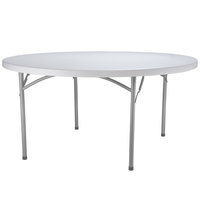 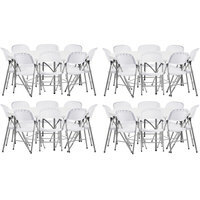 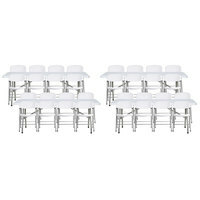 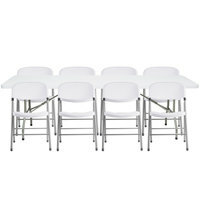 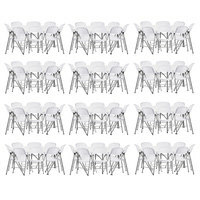 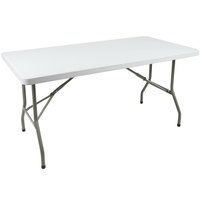 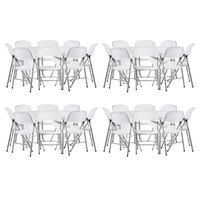 Good - This Lancaster Table & Seating white textured contoured folding chair is an economical choice for your establishment. 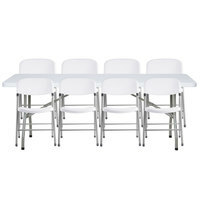 Providing you with a lightweight, yet sturdy plastic construction, its textured, contoured back and seat ensure comfort while blending seamlessly into any event's theme and decor.